Those of you who have followed my ministry closely already know that from its initial roll-out in early October 2015, five years ago, the Life Essentials Study Bible quickly became the centerpiece of my ministry. In retrospect, nearly as significant – based upon its longevity and its international reach – is my book The Measure of a Man. First published in 1974, The Measure of a Man has sold more than a million copies and has never gone out of print. I assure you that this kind of longevity is extremely rare in the publishing world–a tribute to its powerful, timeless message and heavy reliance on the Scriptures. The Measure of a Man has been translated into approximately thirty different foreign languages. It was also recently published as a two-volume adaptation for prison inmates under the title The Heart of a Man. Over the years countless men’s groups have used it as a powerful resource for spiritual training and discipleship. From the time that it was published I have strived to give frequent and full credit to God and the Apostle Paul for the enduring truths in the book. I can only guess the total number of individuals who have been positively impacted by its message but I believe it to be in the many millions. It seems to me that God intends the basic message in the book to continue well into the future. This coming November 1st marks the launch of a completely updated, multimedia version of the Measure of a Man. It will include a total of 42 QR codes at the beginning and end of each and every chapter providing readers access to videos that we produced in our Renewal Ministries Studio. In the videos I present introductory information for every chapter of the book and application guidelines at the conclusion of every chapter. 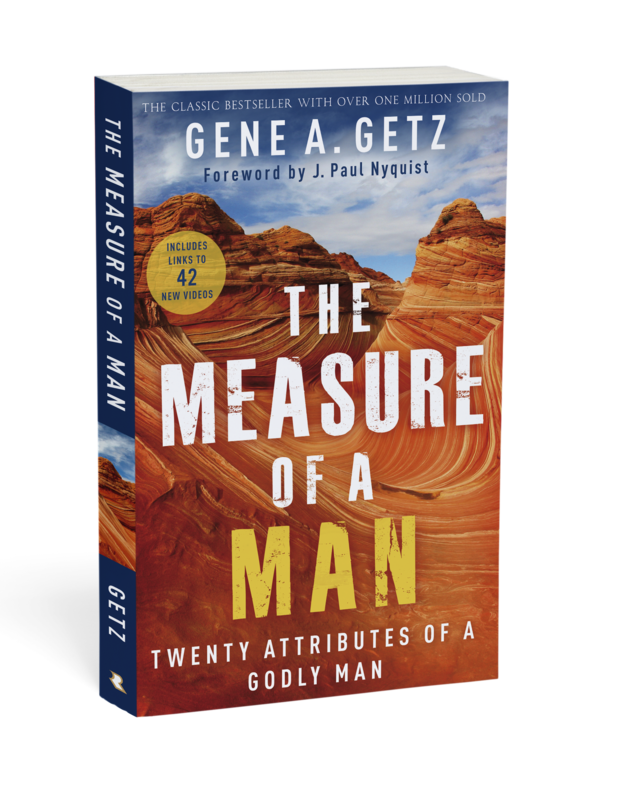 I thank and praise God for providing all the resources–technical and otherwise–as well as the support of a major publisher, to bring to fruition this new edition of The Measure of a Man. The new edition is easy to distinguish from former editions by the new design and bold colors of its cover. Then, once inside the book, the QR codes are easily visible and available for scanning by almost any generic QR code reader. Leaders who are appointed to serve in shepherding roles in the church are to be selected based on comprehensive biblical criteria for measuring Christian maturity. Please understand that the qualities of maturity listed in the commentary that follows the principle serve as the standard of spiritual maturity for every Christian whether male or female, irrespective of formal status or position in the church. Thanks to all of you for your prayers for me and my ministry! Without you, this milestone would not have been possible.